Unemployment rates go down, birth rates go up and situation of many of most vulnerable social groups improves. Minister of Family, Labour and Social Policy summarized her three years it the office. “Our initiatives undertaken during last three years have improved situation of handicapped children, single parents and large families,” said Minister of Family, Labour and Social Policy (MRPiPS), Elżbieta Rafalska. 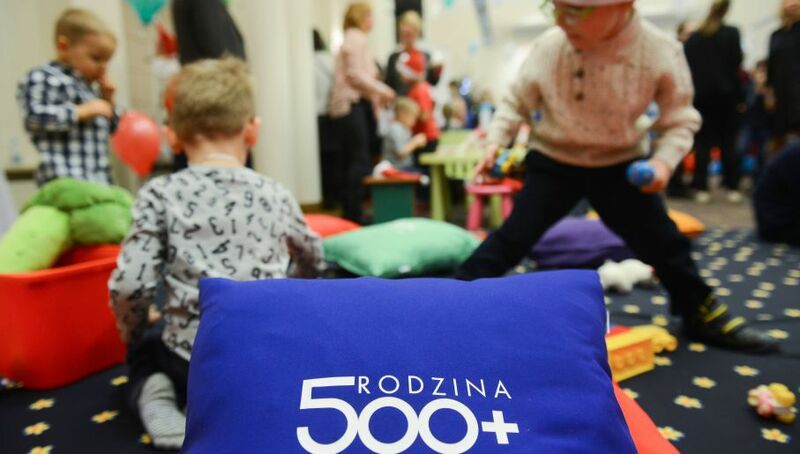 According to MRPiPS “500+” government social program, worth some 23 bln zloty a year, improved situation of 54 percent of children and underaged youngsters in Poland. “This accomplished our first social target. Many of Polish families can’t imagine their lives without this help anymore” emphasized Elżbieta Rafalska during a press conference summarizing her three years in the office. She pointed out that the government program has a positive impact on the birth rate as well. “In 2017 more than 400 thousand babies was born. This means increase by 20 thousand in a year and it exceeded predictions of Statistics Poland and our own expectations. The fact that this years birth rate is not as impressive as last years, is a result of drop in the number of women age 20 - 39 by 105 thousand and this is the age that most women give birth at,” elaborated minister Rafalska. The numbers look good in other statistics too. Unemployment rate was 5,8 percent in November, which is 0,8 percent less than it was this time last year. Now Ms Rafalska looks into the future to help out woman who decided to stay home and raise kids rather then take a regular job.